Andrew Drwiega, Rotor & Wing’s Military Editor, talked exclusively to three of Sikorsky’s presidents on the eve of the Paris Air Show 2011. The meeting occurred hot-on-the-heels of the Australian Defence Force’s long-awaited decision to buy the MH-60R Seahawk for its Air 9000 Phase 8 requirement for 24 multi-role maritime helicopters. But the conversation was much more about how Sikorsky is taking its enterprise forward in a changing world. 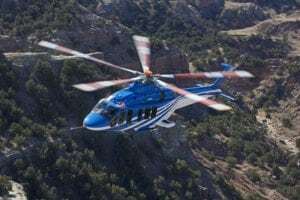 Present during the interview were Sikorsky Aircraft President Jeffrey Pino, Military Systems President Mick Maurer and Sikorsky Global Helicopters President Carey Bond, who is also chief marketing officer. Rotor & Wing: There is a widespread international concern today over the direction and pace of rotorcraft development in order to meet future needs. A main focus of concern seems to be the lack of government funding. 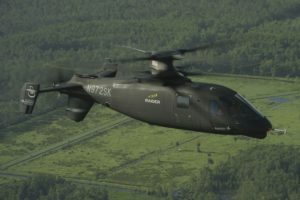 Sikorsky appears to have created its own solution witnessed by the X2/S-97 development process. This seems to be the first step in developing a capability for the future. I’m also thinking of the potential for scalability—is growth ingrained in the program as well? Jeff Pino: If someone isn’t willing to pay for development, then we feel that we can gain an advantage by doing it ourselves—and there are a couple of us doing that [meaning Eurocopter’s X³]. Sikorsky has been focused on this for around five years. X2 is a solution to a set of problems. The demonstrations did a little better than we thought, so it made sense to move into a development based on a Request for Proposal that may not exist anymore, but there is a set of requirements that look like a Light Attack/Armed Aerial Scout. We are learning things with X2 and S-97 that we are backward deploying into products that will generationally look like the current products, but will link that technology back. For example, we are learning a lot about vibration, fly-by-wire and drag reduction on a hub (whether one rotor or two), and electricity usage. We will still have conventional-looking products but they will have tremendous advantage over current capability because we’ve been out on the edge. We are making the leap forward while bringing the technologies back. Rotor & Wing: So it’s like a comet—you’re getting the benefit from the tail but the technology is still going forward. And it is company funded. Pino: Exactly. The Raider will fly in three and a half years. We are building two and we are doing something that we couldn’t do if we were developing with the government, in that we have decided that the mission equipment lifecycle is much shorter than that of the aircraft, so we aren’t worrying about mission equipment. We are holding space, weight and power, so when it is time—perhaps 18 months from now—we will start to figure out what mission equipment will be needed because the technology will have changed by then. By then there might be government interest because it is closer to what they want. It’s discovery-driven and at the moment we have a plan. Carey Bond: We also have some supplier partners who are in this with us—and will have preferred status when it all moves forward. Pino: So now we have this ‘comet’ streaking out there, and we will take some of that technology, but don’t think we have stopped looking at conventional helicopters. And that is not our only comet either. 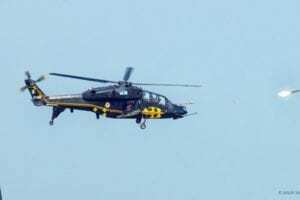 By the end of the year we will fly a Black Hawk autonomously in the vertical supply mission. And then without any change, put a pilot in there and have them do the exact same mission. Rotor & Wing: So how far is the S-97 Raider scalable? Pino: We are scalable from Raider size to Black Hawk++ size. We are convinced that the rotor and dynamic system can be used for dedicated attack. When you get up to those higher, heavier classes do they really want the distances and payload they are talking about? If so then they are probably getting into fixed-wing supported solutions, which aren’t on our drawing board. Our pre-design team has checked the affordability of the very heavy and we are talking monies we’ve never talked about before for transport aircraft, much less vertical. So maybe they need changes to short-take-off and landing (STOL), but there needs to be a lot more group thinking on what they are really looking for. We are going out on our own dime but not past the 30,000-lb-plus point—after that it gets really expensive. Look for an expanded version of this story in the August 2011 print edition of Rotor & Wing, and the full version at www.rotorandwing.com starting August 1.